Michael added just over an inch to his height by stretching and building muscle. Can You Really Grow Taller by Stretching? For me, the answer was yes. I increased my height more than an inch by exercising a while ago. Lots of other people have increased their height by doing yoga, which also includes lots of stretching. To see if I could increase my height, I started stretching three times a day. If you want to see if you can make yourself taller by stretching, try the exercises below. There is nothing complex or difficult about the stretches I did. They were easy to do and took very little time. Note that I did this after I stopped growing. This method is mainly for people who have reached their full adult height. We have 33 vertebrae in our spines. Between each vertebra is a gel-filled intervertebral disc that acts as a cushion of sorts. If these discs become compressed, then the space between your vertebrae shrinks. If the discs expand, then you become a little bit taller. 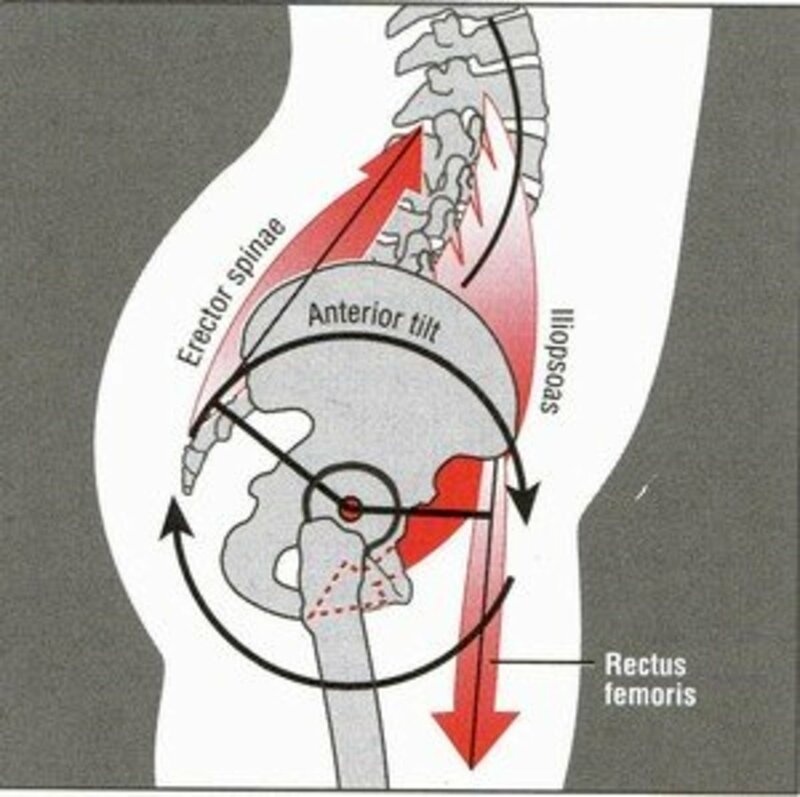 You can not become taller by decompressing your spine if your spine is not compressed, but most adults that don't do a lot of stretching do have some compression in their spines. Before I started my stretching routine I checked my height. I checked in the morning, afternoon, and at night before going to bed. The first day I noticed I was slightly shorter in the afternoon than I was in the morning and slightly shorter at night than I was in the afternoon. Over the next few days, I checked my height again with similar results. My height changed by 1/8" on a normal day. I became shorter while I was awake and taller overnight while I was sleeping. People don`t usually notice the change in height because it is a very small change. If you measure your height first thing in the morning and then again at night, you would notice. That is assuming you were upright most of the day and did not do stretching exercises during the day. Before you stretch, warm up your muscles. Do some easy exercises that work most of your muscles until you feel loose. Lie down on the floor and relax your body. Try to get your spine into a neutral position. Extend your arms over your head. Use enough force that you can feel the tension. Hold the stretch for 30 seconds, relax your body, then stretch again. Do this stretch on your back and then on your stomach. Extend your arms and legs as if you are trying to reach the ceiling. Hold for 15 to 20 seconds. Relax briefly and then do it again. I did sets of five. For best results, do three sets of stretches 3 or 4 times a day. You should feel some tension but you should not feel pain while stretching. Of course, there are lots of other ways to stretch!. I wanted to keep it simple. These stretching exercises made me taller. My height increased by just over an inch. I was able to measure the difference and I could reach things that were slightly out of reach before I started my stretching routine. For instance, I was able to reach a pull-up bar and do pull-ups and chin-ups. One of the reasons I wanted to become taller was so I could get my fingers around the pull-up bar and pull myself up. I was a little too short to use it without stepping on something. After stretching I was just tall enough. It was not a huge increase in size, but it made a big difference to me. 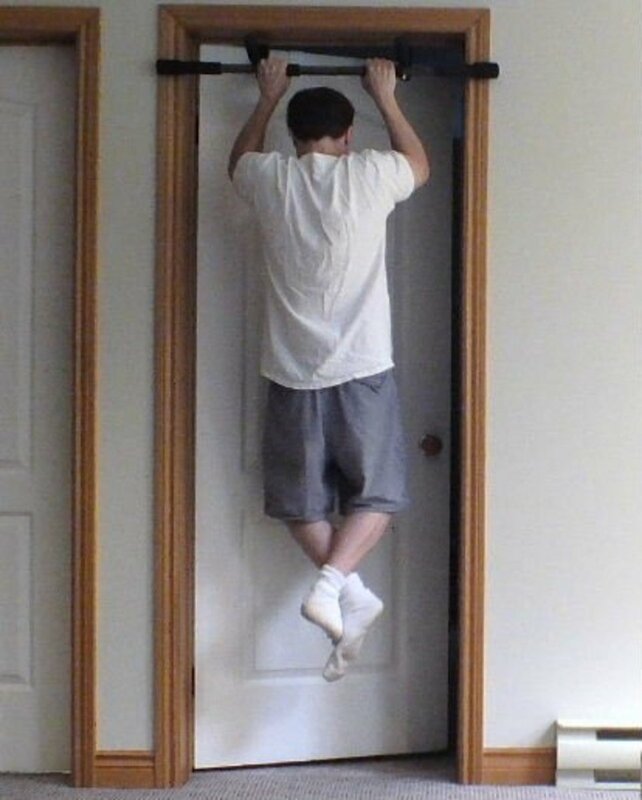 After becoming taller I was also able to touch the top of my door frame. It was out of my reach before. I stand a little taller and I can reach things I could not reach before. Give it a try. If stretching does not make you taller, it should at least prevent you from getting shorter if you stick with it. Other people may not notice that you are slightly taller, just like they may not notice you lost a little weight or gained some muscle, but you will. Does Stretching Increase Height Permanently? Like building muscle and losing weight, if you want to keep the results then you need to do some work. If do not do anything to maintain your height then you will gradually become shorter again. The average person is going to shrink. They are going to gradually become shorter if they don't stretch often enough. Stretch on a regular basis, keep the extra weight off, and work out your abs and back muscles. Strong muscles protect your joints and make it easier to maintain good posture. If you don't do something to stop it then gravity is going to compress your joints making you shorter and less flexible. How long did it take you to gain an inch in height by stretching? It took less than 3 weeks for me to gain an inch in height. I recommend checking your progress once a week. It is easier and faster than gaining muscle or losing fat. Under those conditions I can not guarantee you will gain an inch. If you don't try you will not succeed. It might work if you try. I think you should do the stretches to find out if it will work for you. Hello! I'm an aspiring open weight strongman competitor, I'm currently 5'10/5'11 ish. Hoping to be around 6'0. I do lift heavy weights and am I heavier than the average man. Would you consider those counter productive? Can I still gain an inch stretching while under those conditions? The height increase is limited to an inch or two. After increasing your height you will need to keep working to maintain it. You said you grew over an inch. Now, if someone does these stretches and never stops, can they keep growing (2,3,4 inches etc)? Or will it stop at an inch and you have to keep working to maintain the inch? The methods I mention are mainly for older people that have stopped growing. To see if it will make you taller just try doing it for a few weeks. Regular exercise, a healthy diet and getting enough sleep can help. It is also important to have good posture. Do things that are good for you while avoiding things that are bad for your health. Unhealthy habits can stunt your growth. I am 14 years and only 4'11. Will this make me taller?? Great article! I am aware that most people's "heights" are not "maximized". Stretching will certainly maximize it! As a fitness instructor, I do notice a lot of clients start off with poor posture, but later look taller upon training. I have one specific client telling me his friends noticed him become taller upon training, but when he took a break for slightly more than a week, they noticed he looked a bit shorter. thank you for your article. I think with holiness that I can have a few centimeters in addition to these stretching exercises. why not try? we have nothing to lose. Thanks for writing this article, but is the height gain permanent? Hey how many reps you used to do in a set? I am past the age where men stop growing. The method I used can help a younger person become taller but it is mainly for people that have stopped growing. How old are you? Are you past the age where men stop growing? Yes it is true. Try it yourself. Stretching is not going to make your bones longer but it can increase the spacing between the bones. The spine has 24 bones separated by joints.